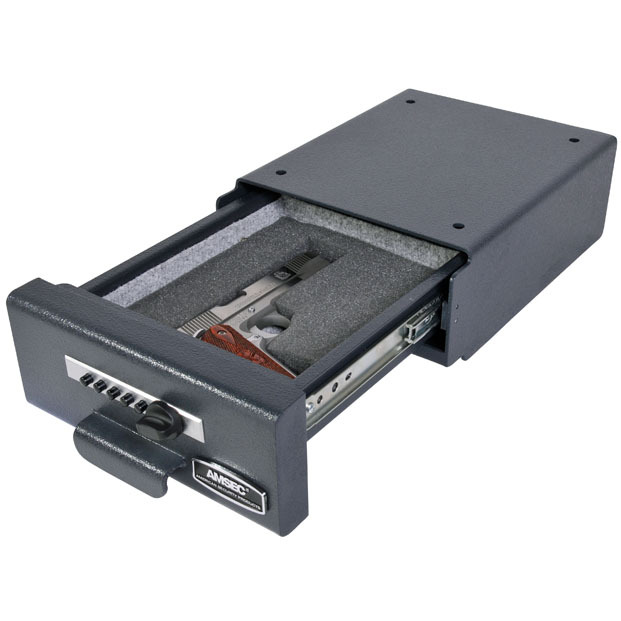 Ever wanted to store a handgun securely underneath a desk, drawer or cabinet? 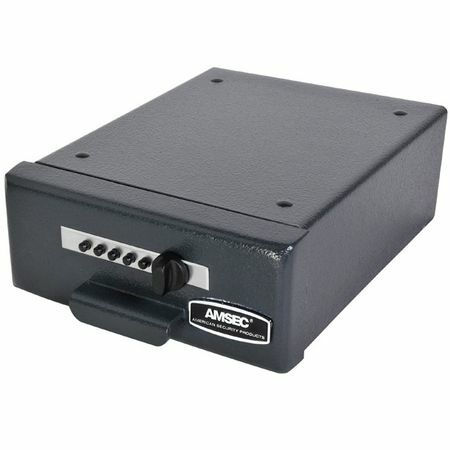 American Security Products, AMSEC, has come up with a brilliant solution to fill this need. 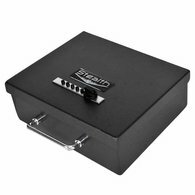 The HAS410, Hide-a-Safe handgun safe leaves the mounting holes on the top and the bottom of the safe leaving you the ability to mount this safe in new ways you never thought possible. On the door of the safe you'll notice a convenient pull out handle. 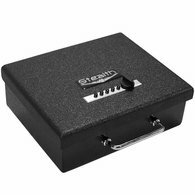 Once the correct combination is entered into the reliable fast access Simplex push button mechanical lock the door easily slides open and is rated to hold up to 75 lbs (55 lbs when fully extended). The interior is fabric-lined with protective high density pluck foam-lined interior that will allow you to customize it to the exact size of your pistol. When it comes to security, this safe won't even take a punch. What I mean by that is that the locking mechanism is protected by steel housing making it impervious to punch attacks. 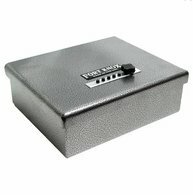 The body is constructed of 10 gauge solid steel plate and the door is 7 gauge with a strong pry resistant locking bolt. It's finished in a beautiful charcoal textured gray with chrome hardware. 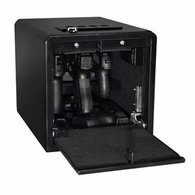 This safe has been tested and approved by California DOJ as an approved firearm locking device.